Suitable for all kids (younger kids in backpacks, older kids walking). Mount Kaukau is the highest point in Wellington City and can be seen, on a clear day, from all over the city with it’s television transmitter tower at the top. From the top on a clear day, you get views all over the Wellington region and out to the South Island. It’s a tough walk for little legs and whether they can make it all the way up and down without being carried will very much depend on your kid(s). 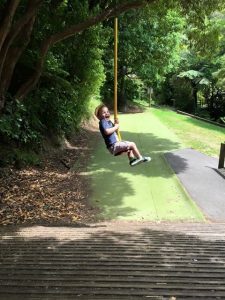 If they’re good walkers it should be manageable for willing 3 or 4+ year olds, especially with treat incentives, like a play at Khandallah Playground at the end (or in the summer months, a splash in the unheated Khandallah summer pool). There’s also Café du Parc (opposite the summer pool) for fluffies/hot chocolates, which is open all year. All of these are accessed via Woodmancote Rd. 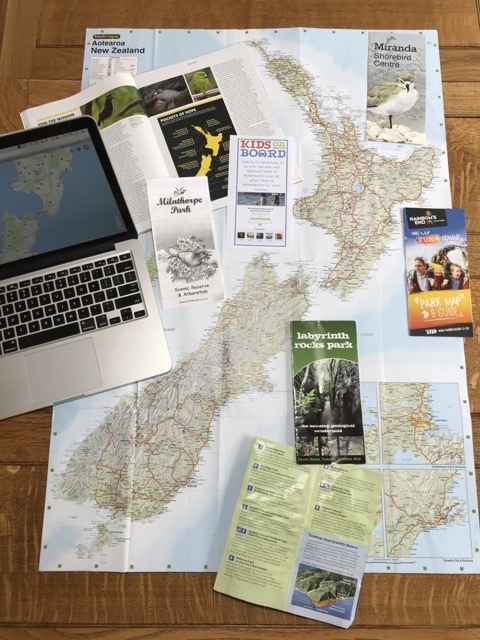 There are several starting points and routes up/down with not much variation in difficulty – all involve a steep climb up to the summit at 445 metres! The most popular track is the one which starts on Woodmancote Road and goes directly past the playground, following the stream into the bush. There are a lot of steps (see if your kids can count them all?!) but also a couple of places to stop and rest. For a reasonably fit adult walking alone, a return walk should be manageable in under an hour but with kids in tow, who knows?! For a map of a loop walk, look here – it also has the other track options on it. Address: The main walking entrance points are at the bottom of Woodmancote Road (where there’s also the biggest parking area of any of the entrance points and toilets). Also the end of Clark Street, with small parking area and Simila Crescent with even smaller space for a few cars! All of these are in Khandallah to the north of Wellington. Longer walks are available starting on the Old Coach Road in Johnsonville. 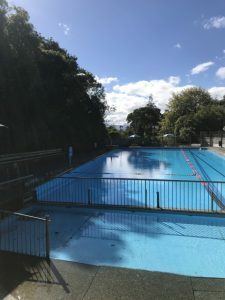 The Khandallah starting points are a short distance from train stations (Khanadallah Station for Woodmancote Rd, Boxhill Station for Clark Street, Simla Crescent Station for the one on Simla Crescent). These stations are on the Wellington – Johnsonville train line. For train times and information check here.